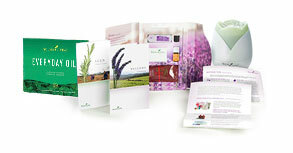 I started my journey with essential oils 3 months ago, and in that short time they have completely transformed my life. The biggest breakthrough for me was the impact that these oils had on my sleep. I am a newlywed, and my husband does shift work which means he sometimes comes home in the middle of the night. Already being prone to sleep issues, getting adjusted to my husband's shift work only made things worse for my sleep habits. It would take me almost 2 hours to fall asleep, and then I would wake up as soon as I heard the front door open and it would take FOREVER to fall back asleep. Needless to say I was tired all the time! Insert Lavender and Northern Lights Black Spruce essential oils. I've been able to fall asleep within 15 minutes AND I don't even hear when my husband gets home which means I'm now sleeping peacefully through the night. Yay! This is only one example of how these oils have transformed my life. They have impacted so many other areas of my life, and I can't wait to see how they change yours!